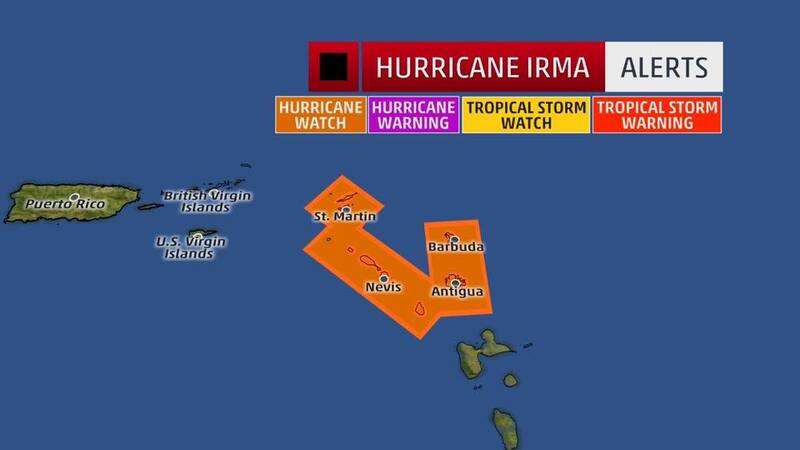 A HURRICANE WATCH IS IN EFFECT FOR ST MAARTEN… At 5:00 AM LST, the center of Hurricane Irma was located near latitude 16.9 North, longitude 52.3 West or about 715 miles east southeast of St. Maarten. 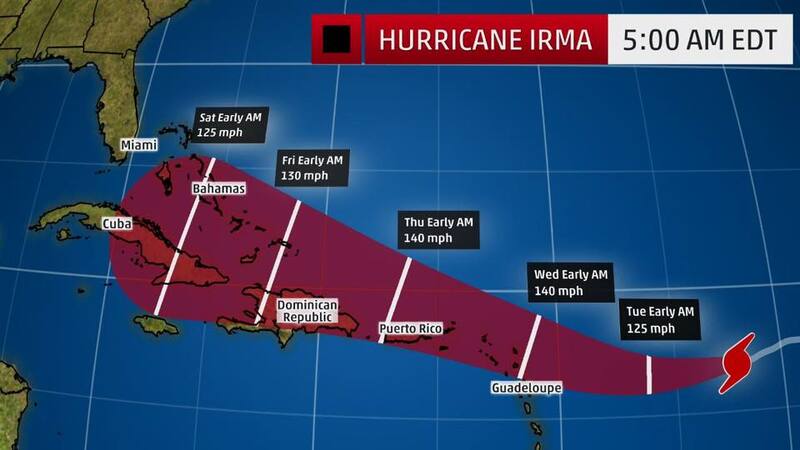 Irma is moving toward west southwest at 14 mph (22 km/h) but a turn toward the west is expected later today followed by a west northwestward turn late Tuesday. On the forecast track Irma will be near the northern Leeward Islands Tuesday night. 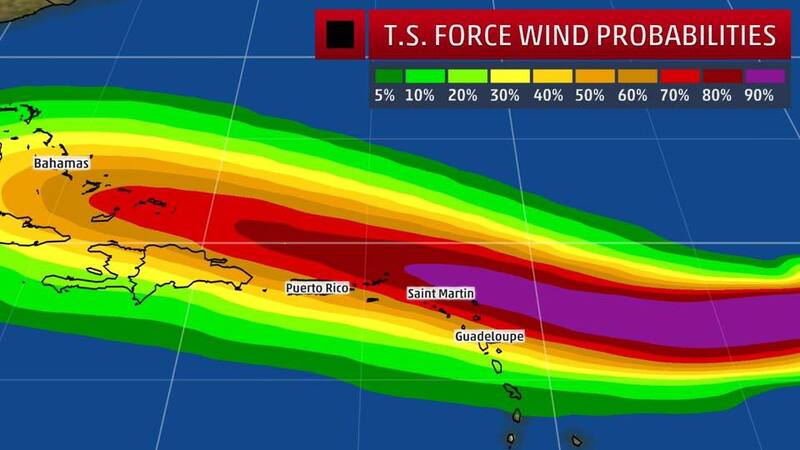 Maximum sustained winds are near 115 mph (185 km/h) with higher gusts. Some strengthening is forecast through Tuesday night. 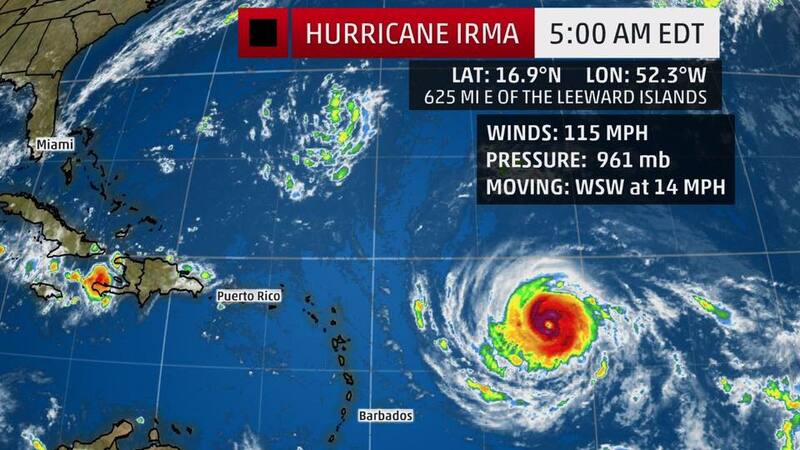 The Meteorological Department of St. Maarten (MDS) will continue to monitor the progress of Irma. Members of the public are advised to monitor the updates on this system and make all necessary preparations for its passage.